FINANCIAL SERVICES in Fairfield County, Connecticut! | Best Financial Advisors in Fairfield County, CT - FAIRFIELD COUNTY "IT!" 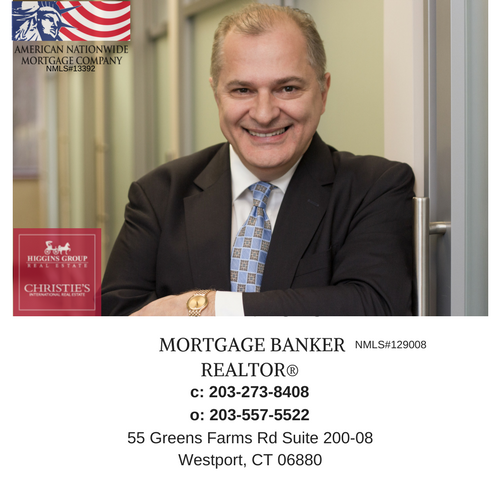 With over a decade of marketing and sales experience in mortgage industry as a licensed loan officer in Connecticut, I am well versed in all phases of Real Estate transactions. I love the real estate business and I am passionate about serving buyers and sellers, I follow the success principles of dedicated customer service, working with my clients as a team and positioning them for a successful real estate transaction. ​Call me for a consultation. I’ll be happy to listen to your real estate needs and offer you solutions leveraging the resources at my arsenal as a dedicated Real Estate Professional. ​At PCC, it’s all about helping you improve your credit scores and making your life less stressful and more financially rewarding. Most lenders and insurance companies use your credit scores. This is to place you in credit ranges to establish how much money you will pay for their products. Higher credit scores turn into higher credit ranges that turn into substantial savings. More specifically, higher credit ranges enable you to qualify for lower interest rates when you purchase a home and buy or lease an automobile. These higher scores should also translate into lower interest rates on credit cards and installment loans. ​In addition, most insurance products (auto, home, health, life, business) are risk based. The higher your credit scores, the lower risk you are to insurance companies. Thus, you should pay lower premiums. The Lifetime Cost of Debt and Loan Savings Calculators on this website illustrate the potential savings that can be realized. Which is by improving your credit scores and by qualifying for higher credit ranges.